Yvonne Anderson’s books are rarely equaled in Christian fiction. Her Christian Science Fiction Spirit-Filled series, Gateway to Gannah is one of the best I’ve read this decade. 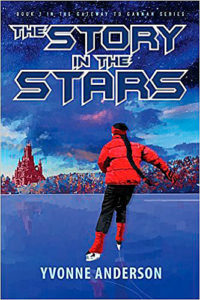 Book one, The Story In The Stars, is the best of the four books in the series—though they are all superb. But, as usual, the world is built in this book. Is it the most compelling science fiction in general? No. Is it the best written? Certainly, many would say no. So, why do I think it is the best? Conceptually. I don’t read to be impressed by the writing [in fact I rarely notice that unless it is too pompous or stylized]. I don’t read to be amazed at the world construction ability of a Larry Niven in Ringworld. I read to be grabbed by new concepts, clearer expressions of truth, that glowing feeling which only comes when you’re built up in the spirit. 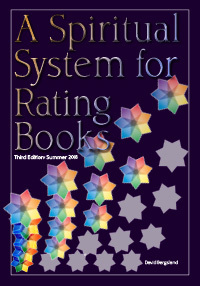 On those grounds, The Story In the Stars ranks way up the list for me. 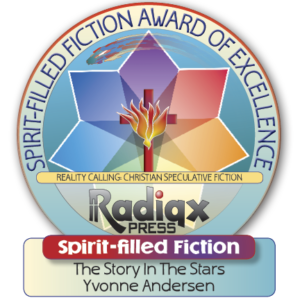 Yvonne Anderson’s tale touches the heart of God in a unique way. Much like Ginny Jaques’ tale of life in a possible post-second-coming millenium did with Zinovy’s Journey, this book gives us a glimpse of a society ruled by Jesus as it is supposed to be. Is it flawless? Of course not. “Now we see in a mirror darkly…” But I can honestly say I don’t know where any potential inaccuracies may be. The story “rang true” to me. It gave me a hunger for a true godly kingdom, or heaven, which is hard to express. The story is space opera on one level. On another it is epic fantasy. It is a princess’ coming of age under immense duress. It takes place in a universe of multiple races, multiple worlds, dealing with the interaction of very diverse cultures in a manner which is simply edifying. What would it be like to be in direct line to the Garden with no knowledge of life without constant, open and clear communication with our Messiah? What would that culture look like? Yvonne gives us a good solid glimpse of that which rings true to me. How can you do much better than that? As you can imagine, fiction promoting spiritual truth has the entire world system fighting it. So, if you like it review it, and tell your friends. She clearly earns it with this book. If it’s not clear to you, the distinctions between religious, redemptive, and spirit-filled are quite simple to understand. Religious: This is people who go to church and get their guidance and support from church. Tradition, reason, and scripture all have equal weight in their eyes. It’s an intellectual and emotional faith and experience, largely based on education and ritual. Redemptive: Here a personal relationship with Jesus has begun with a saving belief in Jesus, our Messiah, plus an understanding that scripture is directly inspired by God and can be relied upon for spiritual knowledge and guidance. It’s still often limited by intellectual understanding and built with compelling music and powerful oratory. Spirit-filled: Now we get to what will be necessary in the coming tribulation when it is likely that Bibles will be taken from us. Here we have direct communication with God through His Holy Spirit. Gannahans display this wonderfully. Yvonne’s meah is a spectacular speculative solution to allow the discussion of a people directly led by the Savior. We’re not talking Pentecostal here. We are discussing a life lead by direct communication with the Lord. That is a reality for many of us, and it’s available to all. It’s very sad that the world has been so successful in blocking believers from this level of spiritual life. This is the true spiritual warfare we all face daily. Here’s spiritual Truth. Yvonne does more than touch Truth. She shows how it would work in the worlds she builds. The story is a reality which can transform, if the reader allows. It fills me with a desire for this close relationship with my Messiah. You should read these books.